When a photo shoot goes smoothly, you can be sure it’s because hours and hours of work went into preparing for it beforehand, long before anyone showed up on set. 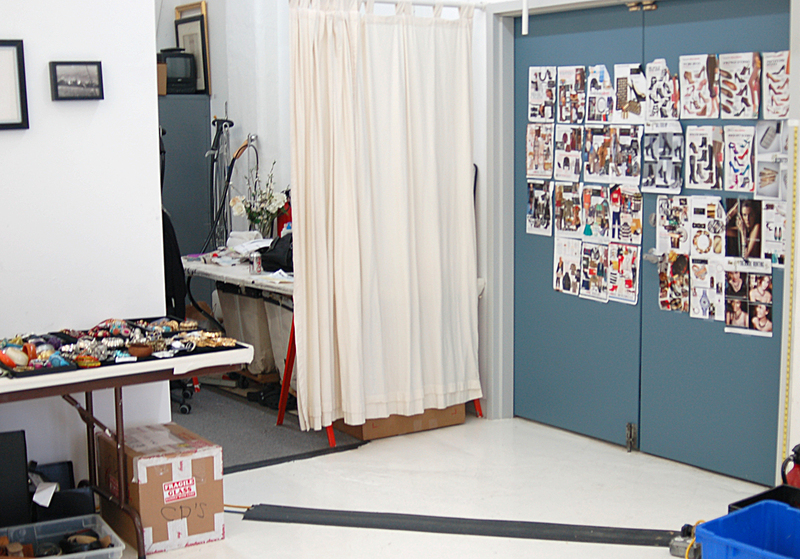 When we arrived at the studio for the Lisette shoot for our inaugural collection, we had spent days and weeks selecting the fabric and colors, the shoes and other accessories, and the model (as well as deciding on her hair and makeup). But if you think we had a lot of decisions to make, consider the people from Simplicity who were shooting their entire spring pattern collection that week. When we arrived at the studio, they were very welcoming, and they already had everything set up for us. Here’s a little tour of the shoot. Here are some samples and accessories, laid out and ready. 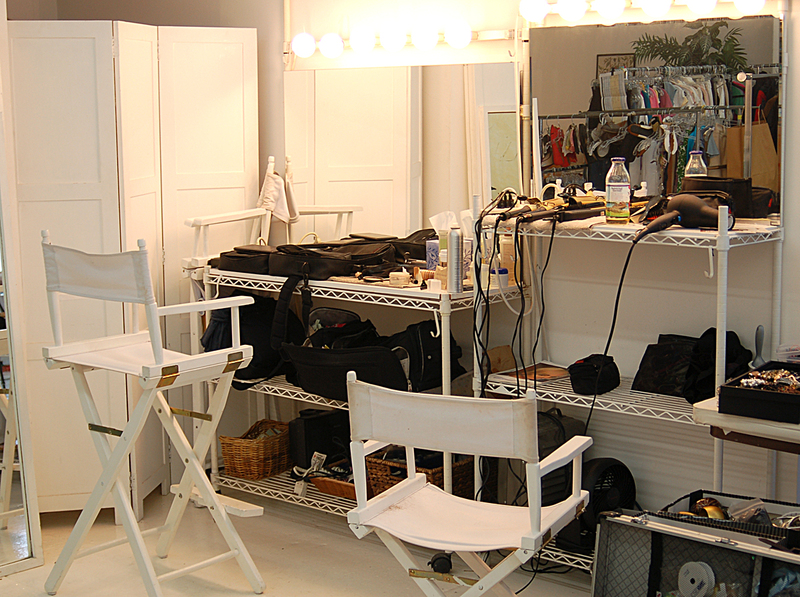 This is the hair and makeup station, complete with a very capable and talented stylist who understood the look we wanted for the first Lisette shoot. 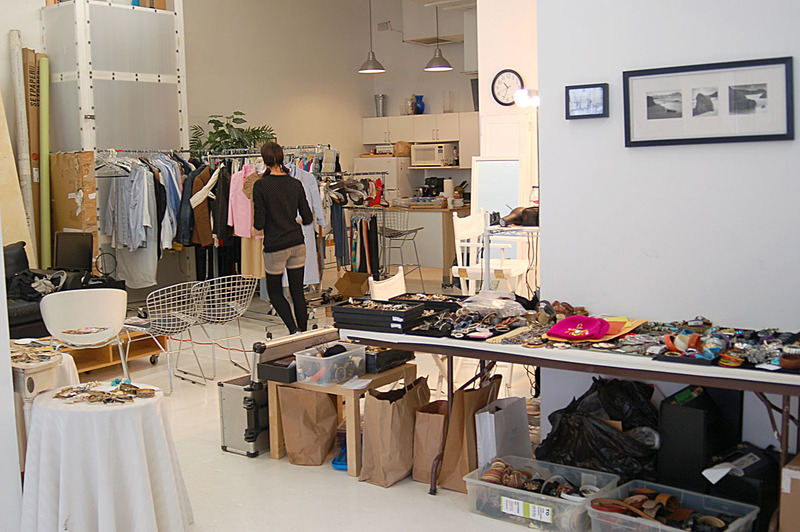 The shoot stylist had gathered all sort of materials and had posted tearsheets and trends just outside of the changing room. We had tables and tables full of shoes, just in case the ones we had selected didn’t work out. By this point all the hard work had been done. Now it was time for the fun part! So there’s your sneak peak of the four styles included in the Spring 2011 Lisette collection. Over the next few days, I’ll be previewing each of the outfits we shot that day. What an adorable model… she reminds me of Audrey Hepburn, in some casual sort of way. thanks so much for sharing these behind the scenes photos. i love seeing the patterns in other fabrics and how much they can change based on the fabric choice. would you mind sharing what fabric you used in making the market blouse above. it looks like such a great shade of green. thanks! The fabric we used for that blouse was a tan/beige cotton poplin solid. You can find similar fabrics in fabric stores everywhere. A solid quilt-weight fabric would offer a similar appearance, too.